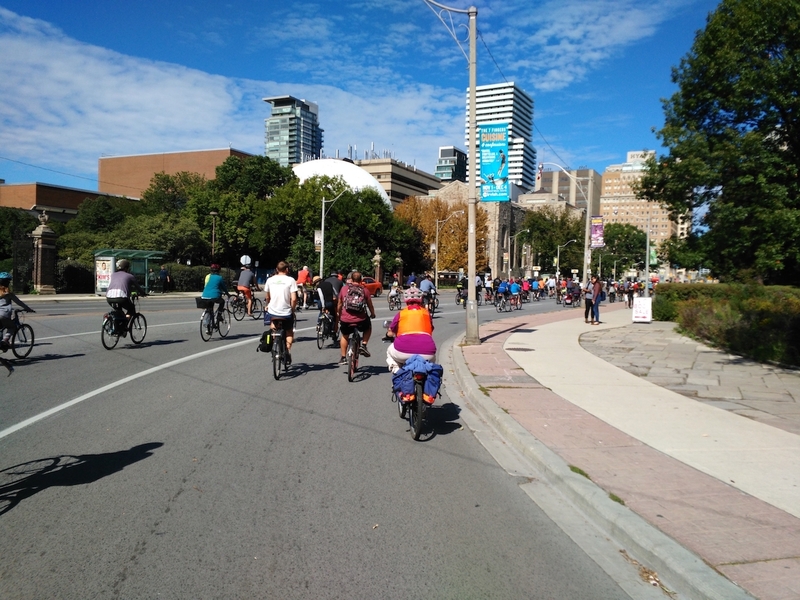 This past Sunday was the ninth annual Bells on Bloor community bicycle ride, and this year’s event was especially notable as it celebrated the installation of the Bloor Street bike lanes pilot project. 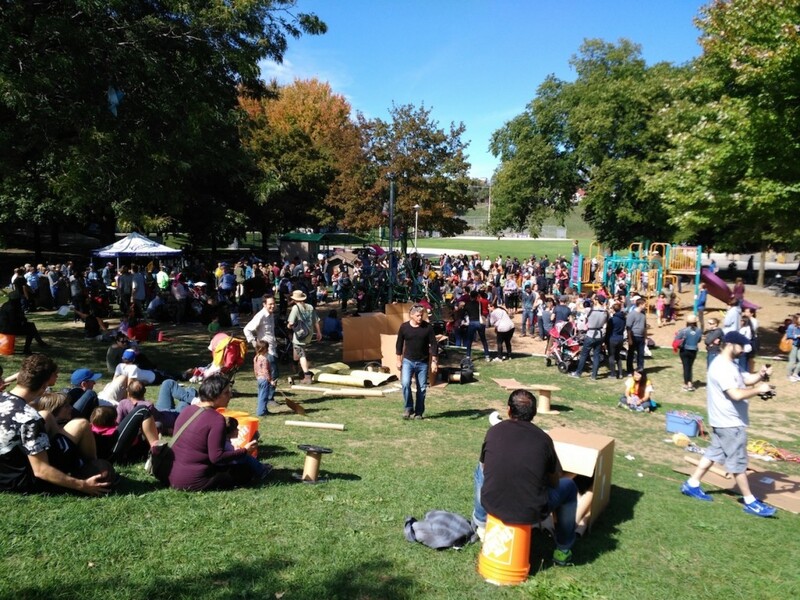 In addition to the main ride, cycling groups across the city rallied support for the event by organizing feeder rides to the official start point at Christie Pits park. 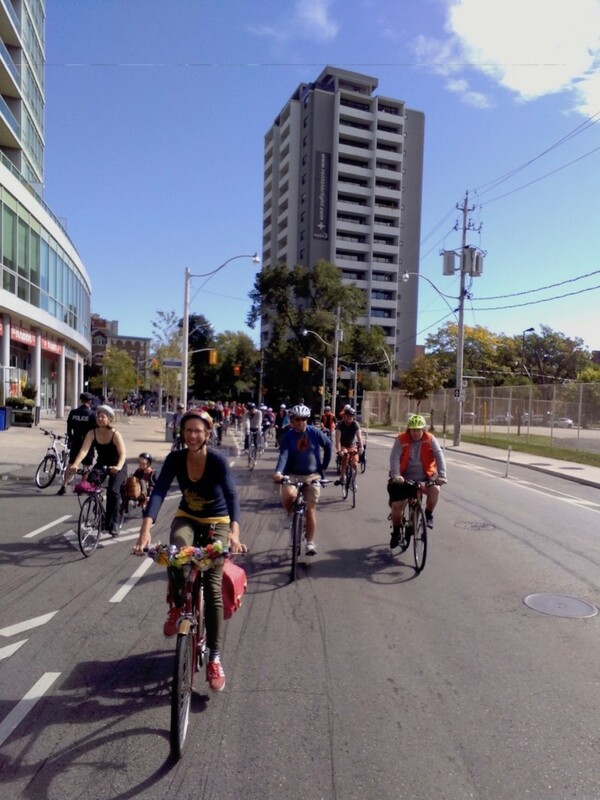 My participation in the event began with leading a ride from the Scarborough Cycles Bike Hub at AccessPoint on Danforth (at Victoria Park Ave.) along Danforth Ave. and Bloor St. to the start. 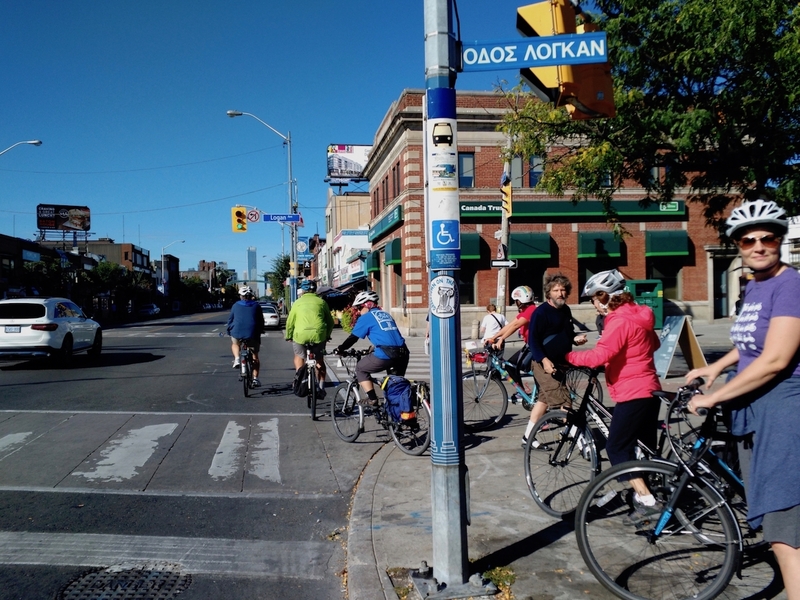 Starting my ride on Danforth provided an opportunity to compare and reflect on my experience riding one of Toronto’s most important and busiest east-west corridors. 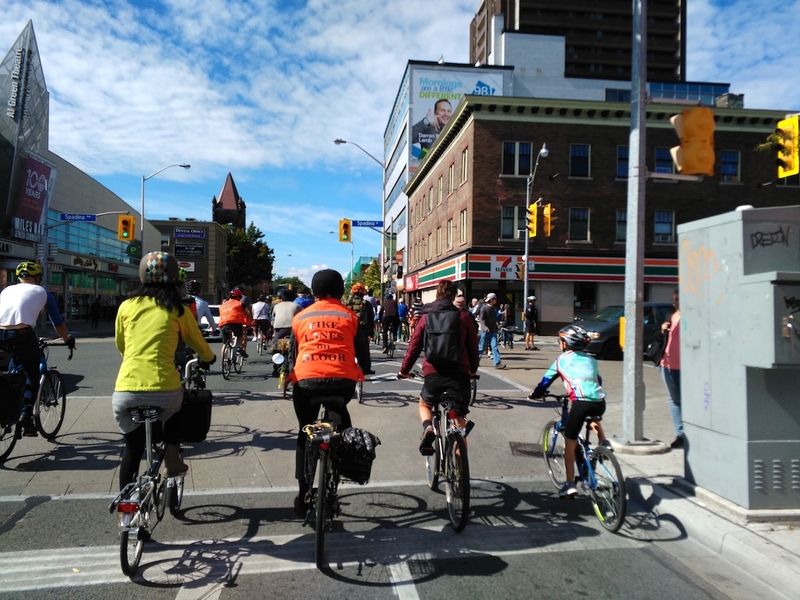 Firstly, riding on Danforth and the sections of Bloor where no cycling infrastructure currently exists presents several challenges as automobile traffic moves faster and the overall width of the road (and bike lanes) are inconsistent. I need to continually be alert to the possibility of motorists in parked cars suddenly opening their door into my path. Other hazards include uneven pavement, potholes, and large vehicles. 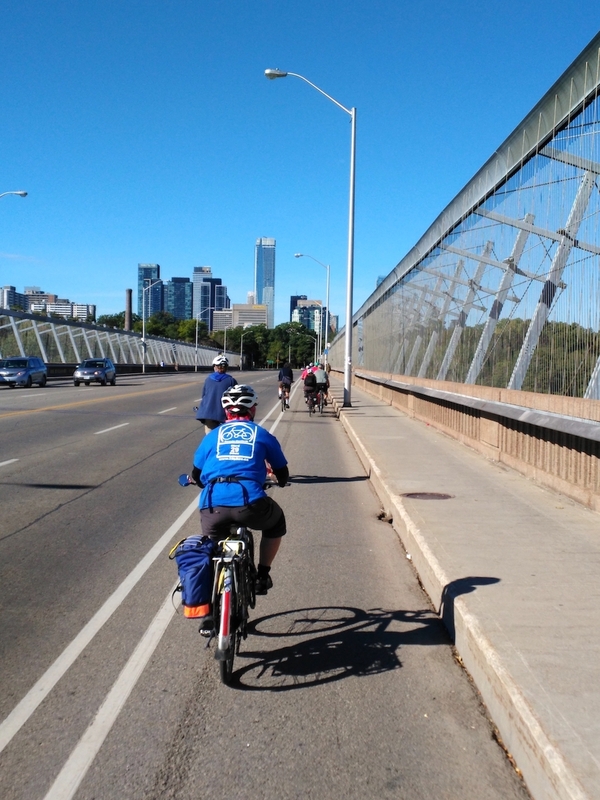 It is very easy to understand why both experienced and casual cyclists would simply avoid this route, as riding it requires a certain level of both skill and ability. 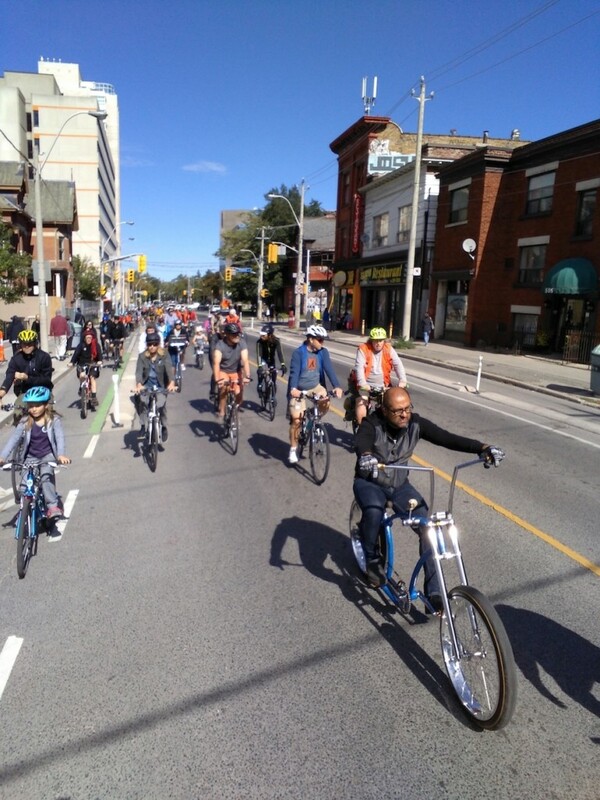 Thirdly, riding the Bloor bike lanes provides me with a much different experience than riding on the Danforth. After the bike lanes were installed, I have noticed that I am riding at a slower pace, which gives me more time to see interesting places and identify shops and businesses. 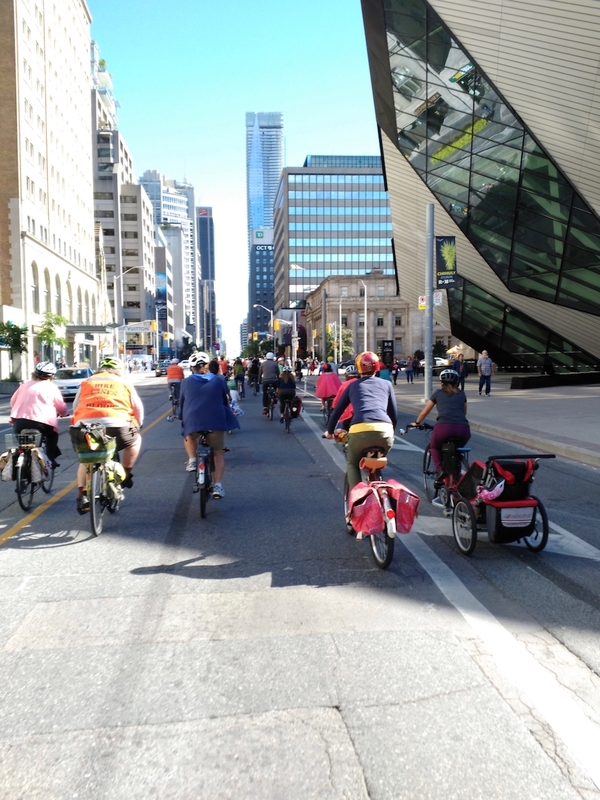 The bike lanes also makes the behaviours of both drivers and cyclists more predictable which is always better for safety. In the end, the year’s event was a terrific success as witnessed by the hundreds of riders who joined the group ride. It was really exceptional to see young and old residents participate in the event. 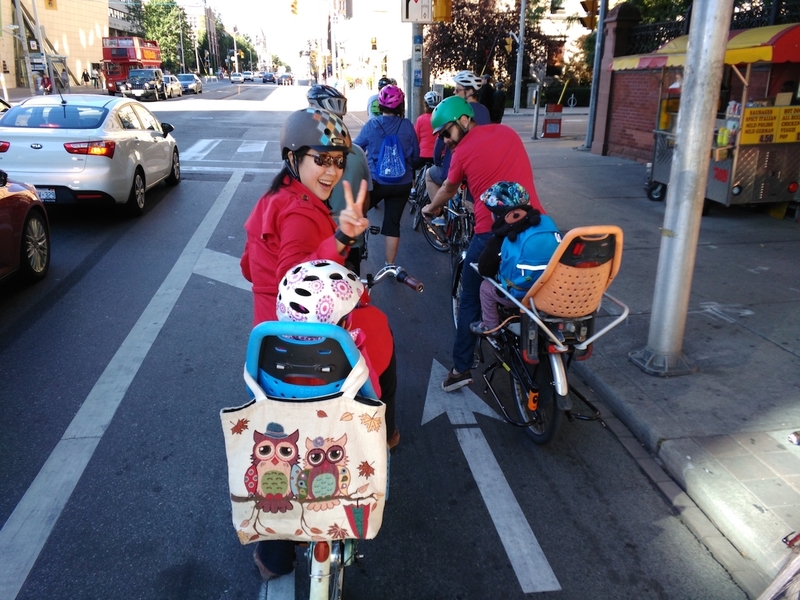 Special thanks to the Bells on Bloor organizers, sponsors, and community groups for supporting and celebrating this particular cycling infrastructure project. 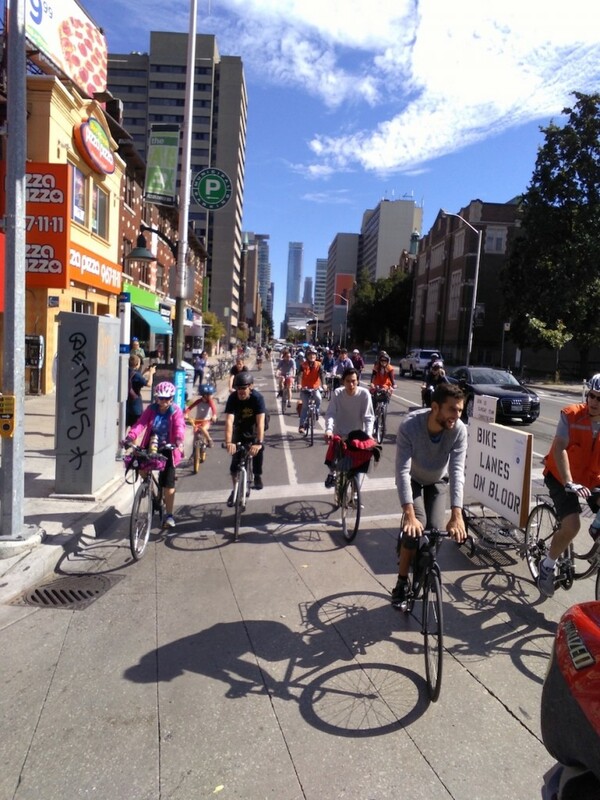 Hopefully, future rides will celebrate other bike lane installations in Toronto’s east end. Marvin Macaraig is the Scarborough Cycles Project Coordinator at the Toronto Centre for Active Transportation, a project of Clean Air Partnership. Funded by the Metcalf Foundation Cycle City program, the main goal is to increase participation in cycling for transportation. Learn more about this innovative project at www.scarboroughcycles.ca and via Twitter at @ScarbCycles.